Get automated and wireless controls for temperature control, window coverings and lighting to save time and energy in your Hillsborough home or office. Located anywhere in New Jersey? We can help make your living or work space more efficient too! Call for details. Holding meetings when you have multiple offices can be difficult. Video conferencing helps to bring your company together. Whether you are in an office across town, or across the ocean, we can design a way for you to make contact. RBC Cable Technologies, Inc., uses the newest technology to create wireless controls, interactive meeting rooms, video surveillance systems and networking/LAN solutions for you. Contact us at our Hillsborough Township headquarters to learn more about how we can help you. Enhance your New Jersey meetings with the latest in large tablets and smart boards. Turn your conference rooms and boardrooms into a state-of-the-art places to work! 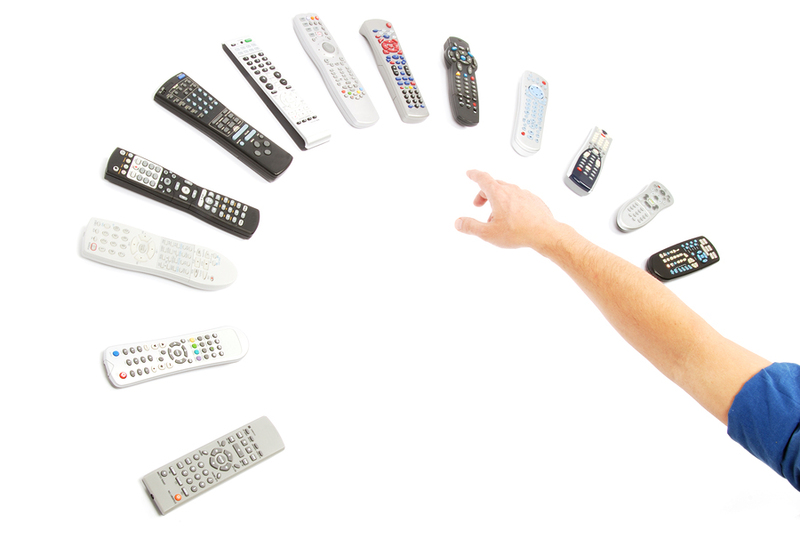 We can design a plan to make all of the controls in your Hillsborough, NJ office wireless. Control the light or monitor the temperature of your rooms with our systems at RBC Cable Technologies, Inc.
Video conferencing allows you to have your meeting with anyone around the world. We can design an audio-visual system for your office that will bring new media into your work life. No matter where in New Jersey you are located, we can reach you! We design the systems that enhance your office experiences. RBC Cable Technologies, Inc has been a stable member of the Hillsborough, NJ, community for over 20 years, supporting local businesses and sponsoring local Little League teams. When you come to RBC Cable Technologies, Inc, you know you can trust us to be there for you. From wireless environmental controls to networking your office together, we can enhance your work life through simple and innovate technologies. How can audio-visual technology enhance your meetings throughout New Jersey? Media has become a large part of our society, and we can help you use it to your advantage. Flat screen televisions and giant tablets will allow you to hold the attention of your employees and visitors through spectacular displays and presentations. Writing on a dry-erase board that records what is written can make brainstorming faster and more convenient. Once the visual design is complete, a new sound system can bring your voice to the next level. Let us design a new conference room or boardroom audio-visual configuration at your office. Your conference room can become a place for spectacular presentations! Wireless controls can make any meeting easier. Imagine: at the press of the button, lowering and raising the shades. Imagine the lights dimming on command so that the presentation starts on time. Imagine being able to press a button on your phone to turn up the air conditioning. Imagine wireless controls giving you access to your office environment without having to get up from your desk. Our systems can make this a reality. RBC Cable Technologies uses the latest technology to design systems that suit your needs. You can expect us to install best state-of-the-art systems that will impress anyone. Whether you are in Hillsborough, Somerville, or any of the surrounding cities in new Jersey, call RBC Cable Technologies, Inc of Hillsborough, NJ, today to begin your design.